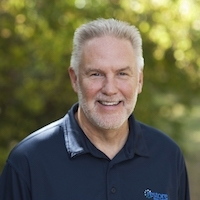 Peter has been associated with Restore for more than four years. He first learned about Journey To Freedom through his wife Erin, when invited to a Celebration of Hope event. The testimonies shared were so authentic and life changing that he yearned to get involved. Peter joined the board in 2013 and has benefitted by personally going through JTF and facilitation training. He currently serves as Board Chairman. Peter and Erin have four grown children: Emily, married to Mark Foland, a youth pastor in Wilmington, NC have three young children; Alison, married to David Neblett, a Vandy med student have two young daughters; Natalie is a third grade school teacher in Tuscaloosa, AL. ; and Kyle, married to Sarah are expecting their first child and live in Brussels, Belgium. Peter will be retiring in April from a career with VF Corporation, a global leader in apparel and footwear, where he manages their uniform business.